As we know that, the transformer in which two windings are magnetically coupled and when one winding is excited by ac supply of certain frequency, the emf gets induced in the second winding having the same frequency as that of supply given to the first winding. The winding to which supply is given is called as primary winding in which the emf gets induced is called as secondary winding. In induction motor can be regarded as the transformer. In an alternating flux transformer, the frequency of induced emf and current in primary and secondary is always same. However, in the induction motor frequency of the emf and current on the stator side remains same but the frequency of the rotor emf and current depends on the slip and slip depends on the motor load. So we have a variable frequency on the rotor side. 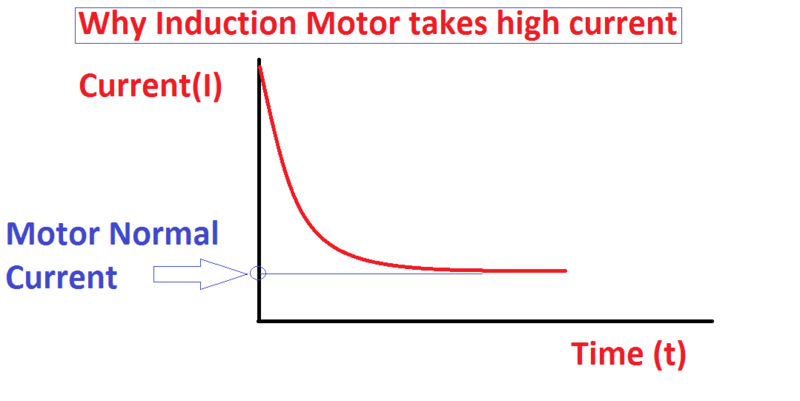 But it is important that at start when N= 0 the value of slip =1 then the frequency of the supply to the stator and induced emf of the rotor is same. And the last difference is that in case of the alternating flux transformer the entire energy present in its secondary circuit. In induction motor part of its energy in the rotor circuit is in electrical form and the remaining part is converted into mechanical alarm.